My taste in coffee is plain. Give me straight black coffee. I don’t care much about the label. I don’t pay attention to where the coffee beans are sourced. I’m generally indifferent on where I buy. I’m perfectly happy to stop at the local convenience store for a $1 cup of coffee. My college-age daughter, on the other hand, loves Starbucks. This time of the year, it’s pumpkin spice lattes, but depending on the time of day and her mood, she loves iced coffee. Sometimes she’s after a new Frappuccino combination she’s just tried, one of the myriad of Frappuccino combinations Starbucks offers. For some individuals, though, coffee is as much an experience as it is a beverage. They want to choose their coffee based on country or region of origin, variety of coffee bean, type of roaster, or processing method. Last year Klatch Coffee in Rancho Cucamonga, California was selling reportedly the most expensive cup of coffee in the world, a $55 cup of Esmeralda Geisha 601, sourced from a farm in Panama. Finally, there’s that group of consumers who couldn’t care less about any of the above. They hate coffee and wouldn’t buy a cup at any price. It’s not just coffee or even retail products generally. Different individuals have wildly different pictures in their minds when you mention social media marketing, legal services, garage door installation, IT support, or home inspections. Those vastly different mental pictures of a successful business relationship carry significantly varied price tags individuals or businesses are willing to pay. 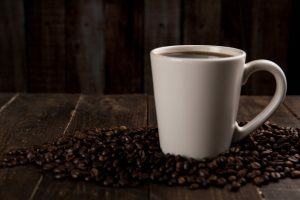 If you’re a services provider and aren’t willing to have a conversation with your prospective client about their values, needs, pain, hopes, dreams, and fears, then you might be talking to the equivalent of a $55 cup of coffee customer about your $5 latte. You might be trying to convince a $1 coffee cheapskate about your $55 exclusive brew. Whatever the case, there’s a mismatch which could lead to any combination of bad results: a misunderstanding on scope of services, you leaving money on the table, time wasted on both sides, a relationship which goes sour, or no sale at all. Those poor outcomes occur because you’ve refused or are too impatient to have a value conversation with a client, and because you don’t have several different bundles of services which a client can select from based on what they value. To be clear, though, differentiation is not trickery. 7-Eleven, the second largest coffee chain in Australia, just got busted by one of their own loyal customers, who determined that the amount of coffee contained in a $3 cup was roughly equivalent to the $1 cup. That’s not differentiation based on client need, but on sleight of hand. If you are a services provider, having a value conversation and differentiating your services offering is not just about getting the best overall price you can. First and foremost, it’s about meeting client needs in a way which creates a mutually satisfying business relationship.